The men’s and women cross country teams performed well in their final race of the year at the ECAC/IC4A Cross country Championships this afternoon. 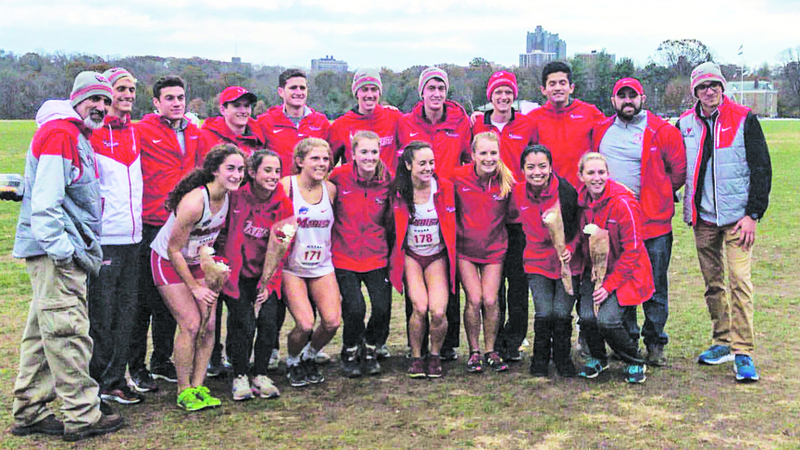 BRONX – The men’s and women cross country teams performed well in their final race of the year at the ECAC/IC4A Cross country Championships this afternoon. The women placed a program-record second out of 18 teams, beating out last year’s fourth place finish. The men took ninth in the season finale, out-placing last year’s squad by one spot. The women competed in the 5k, while the men ran 5 miles. In the women’s championship section, Maria Smith placed 11th with a huge personal best of 17:20 in the 5k to pace the Red Foxes. Shea Bohan, Gianna Tedeschi, Hayley Collins and Denise Grohn rounded out the scoring squad at 18th, 21st, 25th and 30th places. On the men’s championship side, Michael Kennedy led the team with a 45th place out of 157 runners. 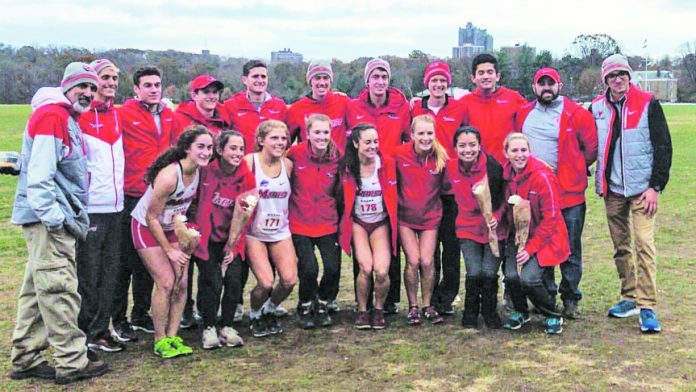 James Draney and Palmer Weimann were right behind him at 47th and 48th, while James Moehringer and Christopher Rivas rounded out the top five Red Foxes at 62nd and 63rd. In the Coach’s division, Talia Cutrone was the top Marist Runner at 14th place. Kayla Sexton was next with 22nd, followed by Jill Laliberte at 29th, Hannah Albert with 35th, Maddie Tooker 44th, and Katie Miale at 64th. For the men, Eamonn Beers was the top Red Fox with 7th place, followed by Connor Levins at 9th. Matthew Ronan finished with16th, followed by Graham Strzelecki at 20th, Brendan Zeng 29th, Aidan Sweeney 31st, Patrick Kutch 33rd, Connor Fitzpatrick 41st, and Marc Bakia 63rd. “Today’s meet was a celebration of our program and the wonderful senior class, who have done so much to lead this team. We thank them and we now look forward to track” lauded Coach Pete Colaizzo after a successful 2018 season.